I have featured this wonderful plant before, but I wanted to give it a mention today because it is easily the best performing perennial in my garden and it’s still flowering at full strength without any signs of fading. This year the wet weather throughout the summer seems to have given them an extra spurt of growth and I’ve actually had to cut them back from time to time to keep them in check. 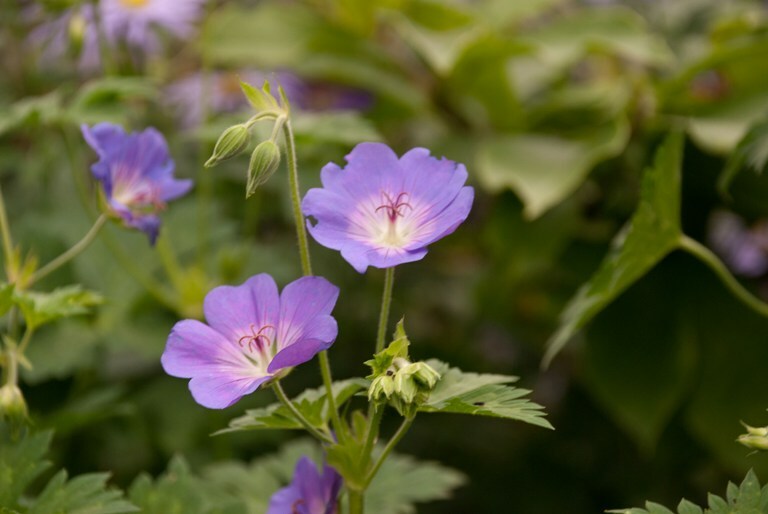 What I love most about Geranium ‘Rozanne’ is that it scrambles through other plants – this won’t appeal to the tidy people among you, but if you’re going for a more relaxed “English cottage garden” look then they really do earn their space. 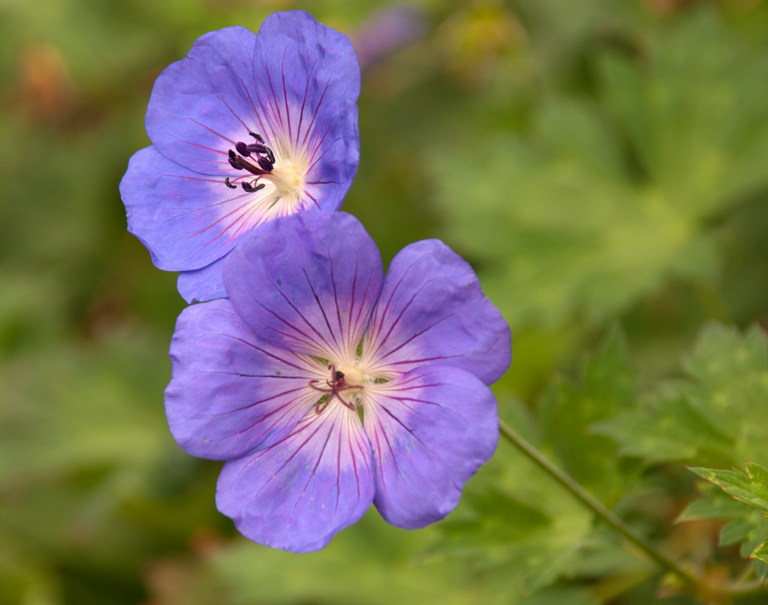 Flowering from May to the end of October, and sometimes even later if the weather is mild, Geranium ‘Rozanne’ will add value and colour when other plants have been and gone. It’s really easy to grow in most soils, except those that are very waterlogged and will establish quickly after planting. 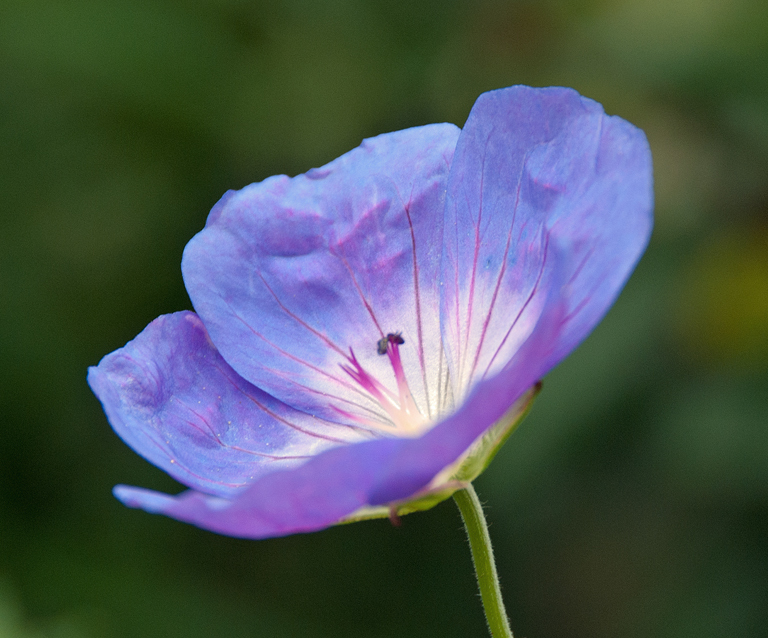 It grows best in full sun, but easily copes with semi-shade. I have some planted in a bed that faces NE so from late morning onwards it’s in full shade. 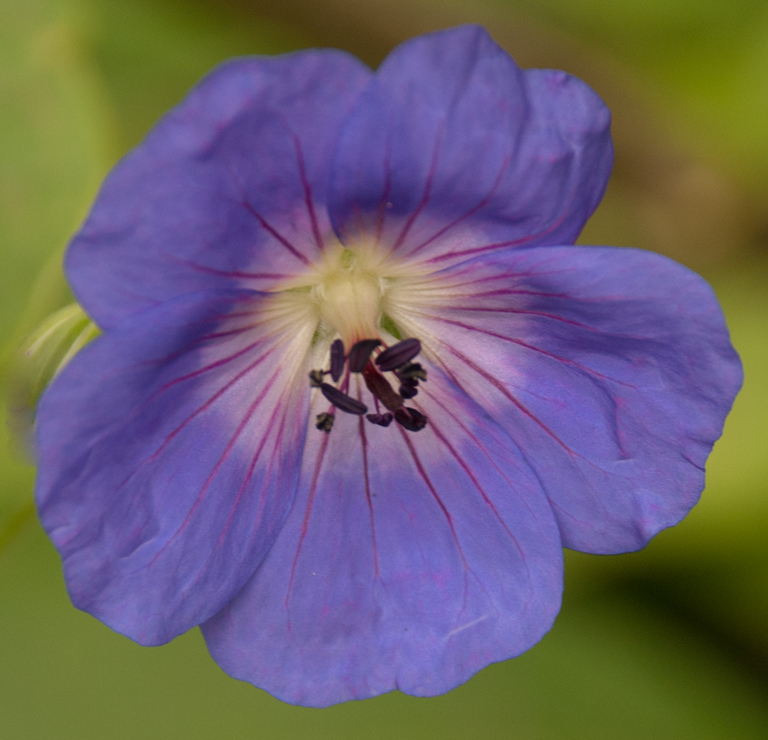 My only warning to you is that it needs space to grow and although it listed to spread to just 40cm, given the right conditions, it can grow as large at 60-100cm and I now allow more space between plants when I use them in planting schemes to prevent them from swamping other plants.